This post and our next post will be all about the athletes who play the game. And whether or not we love or hate those athletes. Up first are the athletes we love (not all the athletes, just some of our favorites). Michael Jordan: The greatest basketball player ever has to go top on this list. You knew exactly what you were getting from MJ. Every time on the court he gave his all. It’s not even possible to put a highlight reel of Air Jordan together (some people try), because it would be too long. Six-time NBA champ, five-time MVP (should have been more), six-time NBA Finals MVP, 14-time All Star, ten-time scoring champ, three time steals leader…OK I’ll stop there. There may never be someone as clutch as Michael again. And it wasn’t just his athleticism. He redefined his game as he got older and still dominated the league. Just remember he was not only the best offensive player in the league at the time, but also the best defensive player—an improbable combination that created one of the greatest careers in sports. Derrick Rose: There isn’t any Bulls bias here…Rose is just the most fun player in the NBA to watch right now. That’s not to say he’s the best in the league, but he can get there. The jump he made last year was incredible. Rose truly cares about the game and wants to get better. You cannot say that for everyone in the league. While some people are out at clubs getting drunk, PBSB pictures Rose at home just hanging out. It’s perfectly fine either way (party or not) but we want the star of our team to care more about basketball than the hoochies at the bar. Rose extended his range, got even stronger and worked on his defense last offseason (some Derrick Rose in HD! ); we can’t wait to see how he improves this year (get the season going!). Richard Gasquet: This man has the prettiest backhand in the world. That isn’t a euphemism, he’s a tennis player. Gasquet hasn’t won a major yet, but he had some great tournaments last year. 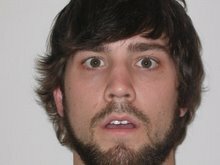 He also got off of a suspension for drugs, by claiming that he kissed a girl at a club who had cocaine on her lips. So whichever way that story goes, I’d like to hear more. We can even overlook the fact that he’s French and say we love him. Ken Griffey Jr: The number one thing we can say about him is that he did it the right way. Nothing points to illegal substances and the shape of Junior’s career is the natural shape that it’s supposed to take. Great when he was younger and decayed with age. He always had a smile on his face and seemed like the most approachable guy in the world. He would be the all time home run had he not put his body on the line so much in centerfield…and had so many other players not used steroids. Maria Kirilenko and Ana Ivanovic: Only a picture is needed to let you know why we love these ladies, so click on the links. We’ll wait…you done? How about now? OK. So, are they the best tennis players ever? No, but Ivanovic has a major win and Kirilenko is an up-and-coming 24-year-old. We don’t always have to watch sports for the talent, sometimes we watch for other things. Andre Johnson: Johnson just does what he is supposed to. He catches balls and makes plays, but doesn’t have to bring attention to himself. And also he beat the crap out of Cortland Finnegan, which PBSB is OK with. And he has a really sweet voice. Sultry smooth. Devin Hester: Sports are about excitement and nobody brings more excitement when he touches the ball than Devin Hester. Anytime Devin has his mitts on the pigskin, it could go for six (or he could fumble it, but that’s exciting too). Here are the best from college and the pros. Kevin Durant: Just like Andre Johnson, there is something to be said for guys that just do their job, and do it extremely well. KD is the best scorer in the league and a blast to watch, it only helps him that he is on a fun team like the Thunder. The only thing he is missing is a good nickname. And an MVP trophy. beat the crap out of someone who he just threw inside on. Mark Titus: Perhaps we see ourselves in Titus. We never peaked at the athletic level we wished. But PBSB did combine for one of the greatest plays in sixth grade basketball history. Sadly no film of this play exists, but just trust us, it was awesome. Any, Titus was the basketball walk-on at Ohio State that created the Club Trillion blog. Titus can laugh about himself, but he can still ball. A guy who knows his limits and can entertain us is a combination we can get on board with. Charles Barkley: Chuck is just a fun loving guy. 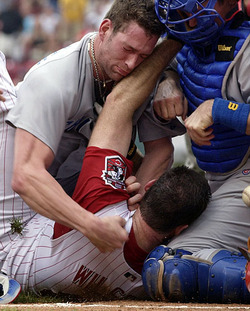 He was fun to watch as a player, and he may be just as fun to watch now as a personality. Charles was just 6-6, but averaged 11.7 rebound a game. In his post-basketball career Barley isn’t afraid to tell it how it is—or more accurately how he sees it—on any topic. It’s refreshing to find a guy that doesn’t care what others think and just speaks his mind, with humor as well. Shaquille O’Neal: What’s not to love about Shaq? He was dominant on and off the court, winning 4 NBA titles, rookie of the year in 1993 and MVP in 2000 amongst many other accolades. Shaq was not only born for the basketball court, but also the stage. Shaq is both a versatile actor and rapper. Jim Thorpe: An Olympic Gold Medalist in 1912 in the pentathlon and decathlon, played collegiate and pro football, baseball and basketball. And do you have a town named after you? 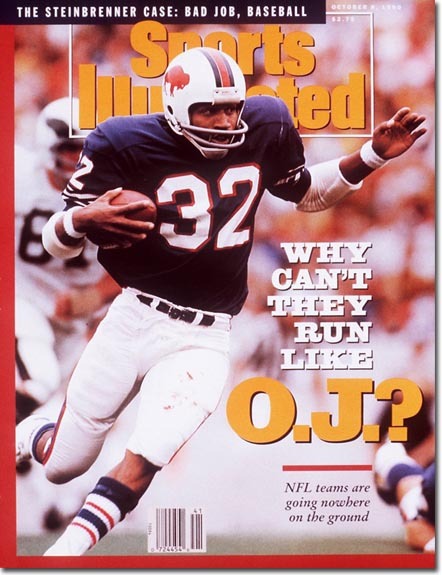 Orenthal James “O.J.” Simpson (as an athlete, relax): Orenthal started turning heads while at USC where he won the Walter Camp Award twice, the Maxwell Award and the Heisman Trophy in a landslide. Juice was a gifted runner who was the first NFL back to rush for over 2,000 yards (in a 14 game season) with the Buffalo Bills. He also acted and did some commentating before you know the whole murder case thing. Jim Brown: He is considered by many to be the best football player of all time. 9 Pro Bowls, 3 MVPs, 9 All Pro Team selections, over 12,000 yards, 120 TDs and much more, all with the Cleveland Browns. He dabbled in acting and is also a member of the Lacrosse Hall of Fame. The scariest thing about Brown? People say he was better at lacrosse than football. Young Brett Favre: Young Favre (1992-2006ish) was the poster child for the blue collar, tough nosed, selfless athlete. He holds virtually every NFL passing record including TDs (508), yards (71,838) and consecutive starts (297). 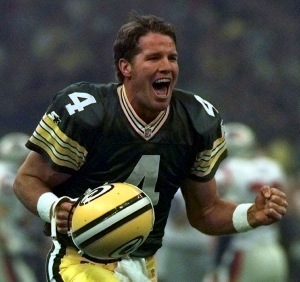 Favre was named MVP three consecutive seasons (1995-97), was a Super Bowl Champion in 1996 and simply had fun out there making a name for himself as a gunslinger. Jackie Robinson: Not much needs to be said about the man that bravely broke down the color barrier in professional baseball all while putting up some great stats including a .311 BA, .409 OBP and over 1,500 hits. 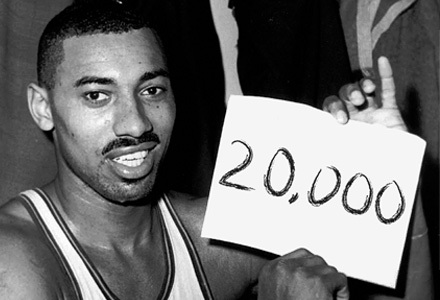 Wilt Chamerberlain: A Harlem Globetrotter, the only player to drop 100 pts in a game and the dude also had game off the court. Barry Sanders: Watching Barry Sanders run was beautiful, even if it was against your favorite team. No one should be able to change directions that fast. Speed, vision, quickness Sanders had it all. He didn’t need to run through people, because he could just run around them. One of the greatest people to make a highlight reel of, there will never be another Barry Sanders. 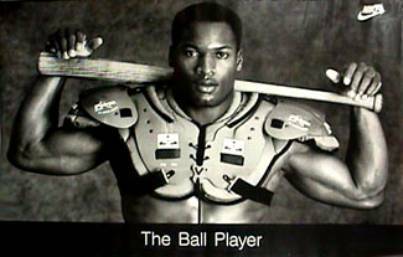 Bo Jackson: Bo Knows that there’s a trend here with these multi-sport athletes. Jackson was an all-star in the NFL and MLB. He was drafted by the Yankees, but chose to play college football on scholarship at Auburn where he went on to win the Heisman.